Ready to renew your Service Agreement? Purchasing an affordable HVAC maintenance Service Agreement is the best way to keep your heating and cooling system running smoothly. Once you’re a Besel’s Service Agreement customer, you can rest assured that both your AC unit and your furnace will be looked after by our trained service technicians. Not to mention, you’ll have access to Besel’s 24/7/365 Services that include emergency calls any time night or day. Oh, and don’t forget you’ll also receive additional discounts on select Besel’s services and products! WHAT’S INCLUDED IN MY SERVICE AGREEMENT? A Service Agreement includes two visits: Spring (AC unit) + Fall (Furnace unit). This is not a quick glance service call, as the visits are performed by an EPA-certified technician who carefully inspects and fine-tunes your A/C and Furnace units. 10% off any other equipment and services needed. $179.00 per year for new customers. $169.00 per year for renewals. Note – There may be additional charges for services for additional units, humidifiers, boilers, and high-efficiency filters. Ready to order? CALL NOW or submit a quote HERE. Keeps utility costs down by maximizing efficiency. Prevents problems before they happen. Keeps your home safe from combustion gases. Protects the validity of your equipment warranty. Plus, regular maintenance can make your system last longer. 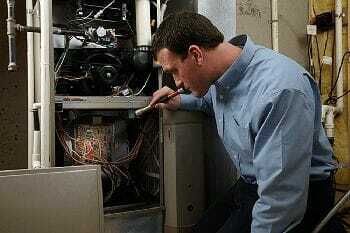 The average lifespan of an air conditioner and a furnace is about 15 years. Besel’s has been offering service agreements for more than 20 years. We routinely have long-term service agreement customers whose equipment is at least 20 years old. Professional routine maintenance is helping them outlive the normal lifespan of their systems. Service agreements just make sense. 1. All Service Agreement Members are eligible to receive Besel’s 24/7/365 service that includes after-hours Emergency Services. Preventative maintenance can save you money in more ways than one. Besel’s Home Improvement has been in business for over 100 years because we know how to treat our customers. See what others have said about Kansas City’s best improvement company. 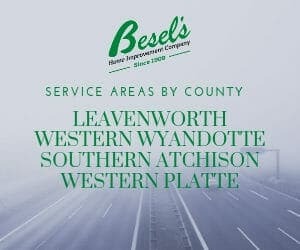 Besel’s is family owned and has served our area for five generations. Meet the team that makes it their duty to provide the best possible service for all our customers. Besel’s has helped hundreds of our customers through an easy online loan application. We work with several lenders, so we have multiple payment options, offer competitive terms, and quick approvals.